At Creative Carpet Repair Brook Park, our mission is to provide expert friendly carpet repair and installation service in Brook Park OH. 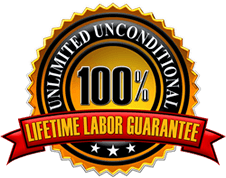 Since 2004, We have provided high quality carpet repair service with a 100% lifetime guarantee. Did your carpet installers do a bad job of installing the carpet? Is your carpet buckling or wrinkling? Do you have a flood damage or water issue that requires removing the carpet or padding? Has your Pet chewed or torn your carpet?